The Illinois Supreme Court is a real stickler for details. You MUST follow their rules. Rules for civil appeals. Rules for criminal appeals. Appeals are a difficult nut to crack. Remember that every statement you make must be backed up by reference to where it is on the record, to case law, or to statute, rule, code, or administrative regulation. You should not make arguments that you have not backed-up in this manner. Do not make conclusions of fact or law in your argument that are not backed-up. Also remember that you CANNOT add evidence or use hearsay. You can ONLY APPEAL THAT WHICH IS ALREADY ON THE RECORD (in the record of proceedings = transcripts, or in the record on appeal = court file). If you did not preserve the issue for review = keep it on the record, object at the trial, in the post-trial motions, and on appeal, you cannot argue it. There are VERY FEW issues that are not subject to the requirement to “preserve the issue for review”. This is a complex topic that you should read a bit about before writing your appeal. 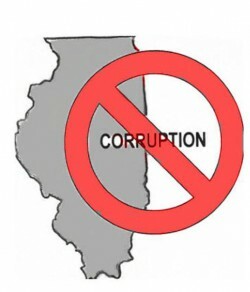 Feel free to use this petition for appeal to the Illinois Supreme Court that was recently submitted. (I’ve changed the names and case numbers for privacy purposes). Read both the petition and the appendix to petition which has attached a blank court order that must be included, although you do not have to give them 20 copies of the order, just one. I am not an attorney, just a paralegal, so if you use this petition as an example to follow, you do so at your own risk and should check the Illinois Supreme Court Rules for appeals, as well as with an attorney before you sign and submit your petition. There may be errors here that I have not caught. Remember you have to pay a $50 filing fee as fee was recently raised so include a check or a petition for waiver of fees due to indigence. Typeface must be 12-point or larger EVEN IN FOOTNOTES. Page limit is 20 excluding cover sheet, affidavit of compliance with page limits, and notice of filing, although if you call the clerk, they may say that the signature or one sentence extra on 21st page is OK. The margins must be 1 1/2 inches on the left and 1 inch on all other sides. The document must be securely bound along the left side, not with just one staple. Three staples are OK.
You must discuss the standard of review for each point in your argument – de novo = only issues of law; abuse of discretion would include issues of fact, but this is a bit complicated so do some research on standard of review for your type of issue. Appeal is a a right if the issues are issues of first impression, which means that they involve laws that have never before been interpreted by the Illinois Supreme Court = there is no previous opinion on an issue which is similar (i.e. “on point” with your issue).